Come enjoy authentic Jamaican coffee and cuisine at Lloyd’s Tropical Island Coffee and Café, where even the service is authentic Jamaican: pleasant and with a smile! 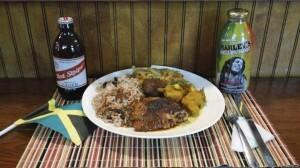 Make sure to try our Blue Mountain coffee, or Jerk Chicken and Red Snapper Fish if you’re hungry. We also carry Island crafts and souvenirs, so stop by and say hello! Hours of Operation: Daily: 8 a.m.-9 p.m.